The second-greatest command Jesus gave us was to love our neighbors as ourselves (Mark 12:31). What better way to do that than by building the kinds of communities for them that we would want to live in? Whether it’s teaching Ukrainians how to restore their community through recycling or teaching job skills to impoverished Papuans, seeking the welfare of others is a concrete way to show Christ’s love. When others see that God’s people truly care about their families and loved ones, they catch a glimpse of what His loving provision looks like in action. 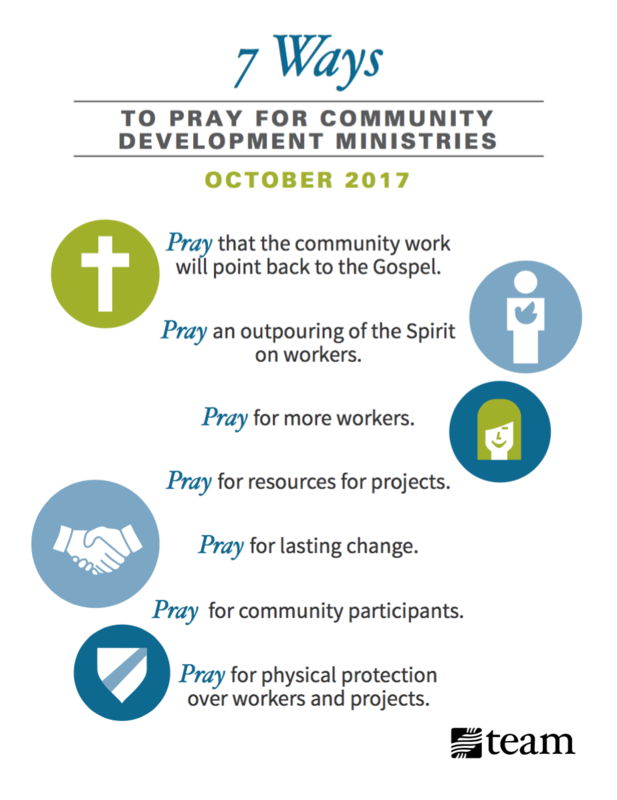 This October, will you pray with us for community development ministries around the world? 1. Pray that community work will point back to the Gospel. While community development is a key way to show Christ’s love to the world, ultimately, true hope is found in His eternal solution rather than earthly projects. That’s why it’s so important that this work constantly points back to Christ. Pray with us for real, Gospel-centered hope to take root. Pray that community members will come to rely solely on Jesus for their spiritual well-being. 2. Pray for an outpouring of the Spirit on workers. Community development can be especially taxing because workers often don’t see immediate results for their labor. TEAM missionary Stan Goertzen says workers need a refilling of God’s Spirit to continuously pour out their energy and efforts in any community project. Stan founded the Path of Hope in Italy to serve and bring hope to his community through activities such as a children’s day camp, English classes, Thanksgiving Day dinners, concerts, and more. Pray that the Holy Spirit will renew workers like Stan when tasks are draining. Pray that missionaries around the world will be overflowing with a supernatural love for the communities they’ve been called to serve. “We have been invited into more schools, but lack the staff to add on additional schools at this time,” says Pattie Eager, a TEAM missionary in Mexico. Pattie and her husband Phil work with at-risk youth in their community through a program called Transformados (“Transformed”). They host summer camps and after-school activities to point kids in a positive direction and dissuade them from using drugs. But without enough staff members, this work quickly becomes overwhelming. Please pray for the right workers and missionaries for much-needed community development projects around the world. 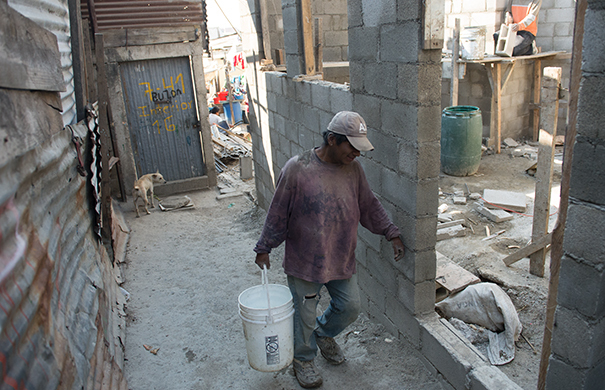 Pray also that these communities will be receptive and open to the workers the Lord sends. 4. Pray for resources for projects. There’s no denying the value of community development, so why aren’t more people involved in it? One reason is that most community development projects are extremely expensive and require a substantial amount of physical resources. 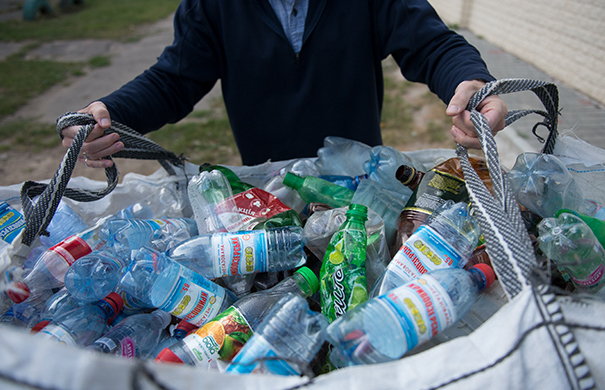 In Eastern Europe, one TEAM missionary, Kurt zurBurg, is working to remedy the problem of non-recycled plastic in Ukraine. Pray this month for funds for community development projects, like the one Kurt runs in Ukraine. Pray also for the provision of needed materials and manpower. 5. Pray for lasting change. Lasting change is what community development is all about. The goal of these projects is not just to give people quick-fix, temporary solutions. Community development missionaries want to help people build their futures and their children’s futures. And this responsibility should be taken very seriously. Too often, wells aren’t kept up, schoolhouses disintegrate into disrepair or job programs fall to the wayside after a missionary leaves. But by creating solutions that are self-sufficient, multiple generations are blessed. Pray that God will reveal sustainable solutions to the issues communities face. Pray that positive change will be created and continue to impact for decades to come. 6. Pray for community participants. Ultimately, if local community members don’t participate in development projects, sustainable improvements aren’t possible. TEAM missionary Jared Riepma works with the Merauke Community Center, a joint effort between TEAM missionaries and local Indonesian believers. The center provides English and computer classes in order to develop relationships and share the Gospel. Now, the center is looking for a native Indonesian Christian to serve as the next director of the center. Please pray that the Lord will raise up local believers to invest time and effort into these important projects. Pray that the communities themselves will participate in finding lasting solutions to complex issues. 7. Pray for physical protection over workers and projects. Many places in need of community development are unstable and dangerous due political tension, economic depression or civil unrest. In the Eager family’s case, the primary threat to their ministry’s physical safety is cartel-related violence that has surged in their part of Mexico. Pray for continued safety for missionary workers and community participants. Pray that nonbelievers will see the Lord’s divine hand of protection over these ministries and come to place their trust in Jesus. Give thanks to God no matter your situation ,He still has something to say to your situation. May the Spirit,the Love,the Wisdom,the Will and the righteousness of God locate you and your family. Be filled with His nature and the power of HIS WORDS. Be filled with the Spirit of Obedient to the Words that changes life. In the Jesus Christ our Lord.